Despite his flaws, and perhaps because of them, we find there is much more to consider about the late Nelson Mandela's development as a leader. Institute for Personal Leadership, Develop Inner Mastery. Achieve Outer Impact. Written by Hitendra Wadhwa, Professor of Practice at Columbia Business School and Founder of The Institute for Personal Leadership. The article was originally published on December 7, 2013. Nelson Mandela sacrificed the usual trappings of a good life – family, comfort, professional success – to spend 27 years as a prisoner of conscience in his fight against apartheid. He emerged to lead his nation as its president in 1994 and chose to forgive rather than seek revenge for past crimes, helping South Africans build a new social foundation. After only one term in office, despite being viewed as a father of his nation by his people, he chose to hand over the reins of power voluntarily rather than keep a lifelong grip as many other strong leaders have sought to do in Africa. Is this not the makings of a saint? Many of us have certainly viewed Mandela as such. President Obama recently called him “one of the greatest people in history,” the BBC described him as “perhaps the most generally admired figure of our age,” and a research study in 2012 established Mandela as the second-most-well-known brand in the world, after Coca-Cola. Indeed, there are many markers on Mandela’s “Long Walk to Freedom” — beyond the glowing ticker-tape headlines we normally associate with him — that demonstrate his fallibility. Mandela made for a poor scholar, struggling through his classes as a law student. In 1962, he embraced violence, founding Umkhonto we Sizwe — Spear of the Nation — the ANC’s armed wing, which launched guerrilla attacks on the government, and journeyed to Ethiopia to learn how to use firearms. During South Africa’s first democratic elections in 1994, he actively canvassed for lowering the voting age from 18 to 14 years to ensure a strong win for the ANC, citing as precedents a questionable list of five countries that included North Korea, Iran, and Cuba — a move that was widely criticized. In 1991, he traveled to Zambia and asked its people to vote Kenneth Kaunda back into power, even while Kaunda was very unpopular at that time after a 27-year dictatorship. Kaunda ended up losing. And as president, Mandela presided over an administration that largely ignored the AIDS epidemic in South Africa, with a shocking 11.7% of South African adults infected with the virus by the time he retired. Perhaps in our yearning for perfect heroes, we have rushed to place him on a pedestal that he himself recognized was not appropriate. But when we dig deeper, we find there is much more to him, and it all hinges on how we define great leadership. While in prison, Mandela focused on learning the language and history of his oppressors, the Afrikaaners, and then even helped certain prison guards write their letters for promotion. Great leaders approach life as a school. They are always learning. No situation—a day in prison, a scolding from a child—is too inconsequential. Later, Mandela admitted that the ANC’s actions led to some human rights abuses, and criticized those that refused to acknowledge it. And after resigning as president, Mandela did finally awaken to the scourge of AIDS. He took on an active voice in highlighting the need for testing and treatment and acknowledged that his administration had been wrong in not making it a bigger priority. And, breaking a taboo, he revealed that his son had died from complications related to AIDS, using the occasion to educate his people about the need to talk openly and deal with this problem. Great leaders take on great challenges, and along the way they sometimes make great mistakes. Their greatness lies in how committed they remain to discerning right from wrong. When they find they have erred, they acknowledge their lapse, correct their course, and move on. But Mandela was not just satisfied with acknowledging his flaws—he actively worked on eliminating them. Stories from fellow prisoners abound about how, over the course of many years on Robben Island, Mandela gradually became a calmer, more centered and more patient leader—a leader South Africa dearly needed. This is what great leaders do—they see themselves as a work in progress, and they sculpt themselves to get progressively closer to their ideal form. And their impact on the world, as a result, grows exponentially. To his legion of admirers around the globe, perhaps Mandela’s greatest contribution is to awaken us to our own potential for greatness. All we need to do, like Mandela, is to keep trying. For more information about the Institute for Personal Leadership and the leadership development programs for individuals and organizations, visit www.personalleadership.com. This article was originally published in Fortune magazine – click here for the original. The Institute for Personal Leadership (IPL) brings leadership development and culture change to organizations globally, from Fortune 500s to social enterprises. Our work draws upon Professor Hitendra Wadhwa's award-winning research and teaching at Columbia Business School. Our team brings strong backgrounds in corporate leadership, psychology, neuroscience, digital transformation, branding, human capital, strategy consulting, the US military and NASA. IPL's mission is to help individuals, teams and organizations approach their full potential by creating ever-increasing outer impact through ever-deepening inner mastery. Our work is based on universal truths about human nature being uncovered by latest findings in neuroscience, psychology, genetics, sociology, psychotherapy and behavioral economics, and exemplified by the lives of great leaders from history. We offer transformational learning experiences at all levels of the organization through workshops, coaching, digital learning, keynotes, webinars and consulting. We recognize that true behavior change comes only from deliberate practice, so we complement our teaching of personal leadership principles and techniques with our digital learning platform, Mentora, which provides participants with opportunities for everyday reflection, application, inspiration, practice and feedback. 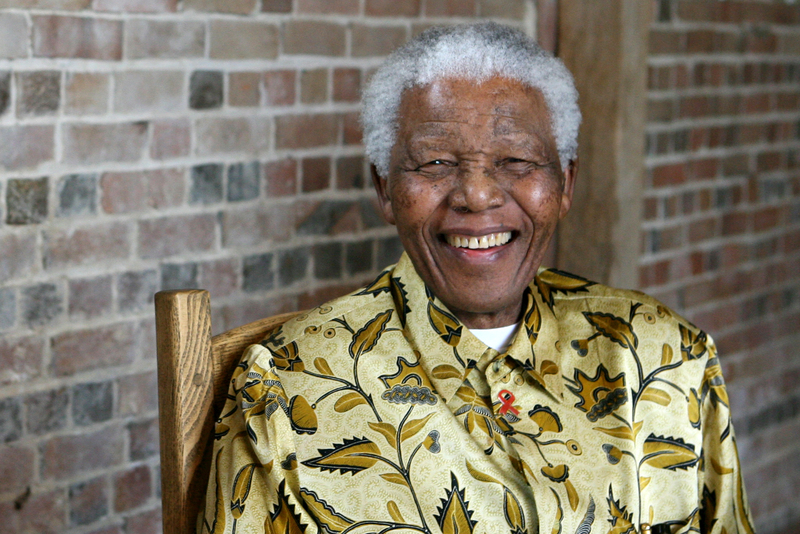 5 lessons Nelson Mandela taught me about leadership.